Drop in for tips on interviewing and what to expect, including what companies look for, the kinds of questions they ask, and how to be prepared for them. 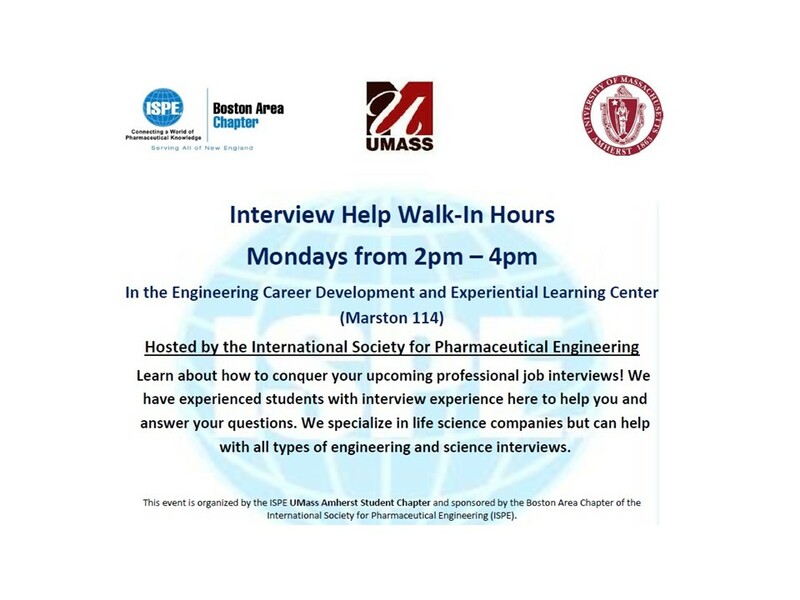 Talk with students who have specific interview experience in biotech/pharma/life science companies and research labs, who can also be helpful if you’re interviewing in other industries as well. Hosted by UMass Student Chapter of ISPE.